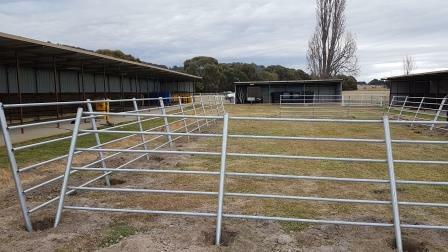 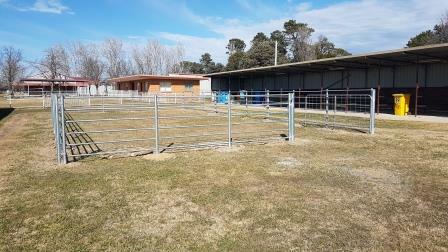 The Bungendore Show Committee recently undertook upgrade of the cattle yard area on the show grounds. 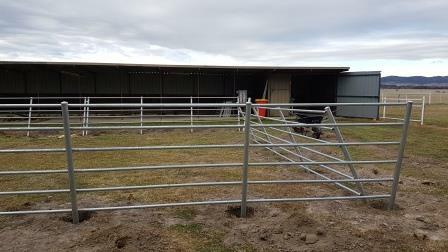 The old pool fence that had stood for many years was removed and a new, smaller cattle yard area was installed with panels sourced through the Feed Shed, Bungendore. 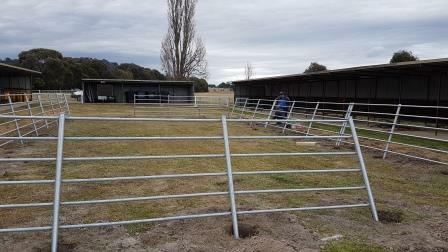 Col Woodford from Bungendore Bobcat Hire donated his machine and time to dig the holes for the new posts. 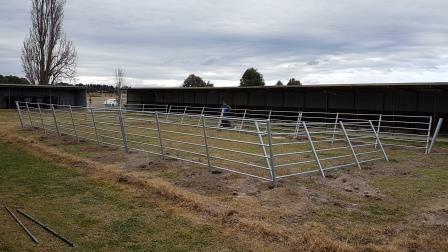 A small band of volunteers from the Bungendore Show Committee mixed the concrete and erected the new fence panels and gates. 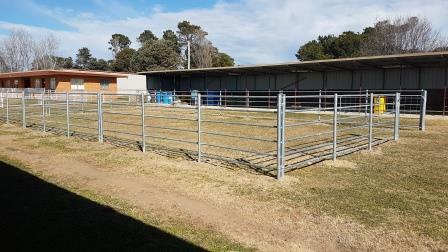 The area is used for the Bungendore Show Cattle Competition and Junior Paraders judging. 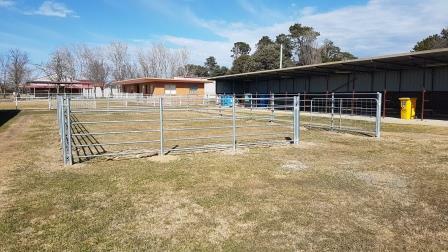 The area is also used by the Bungendore and District Sheepdog Association for the training of sheep dogs and their handlers on their regular club days.